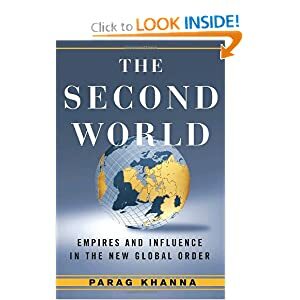 The Second World: Empires and Influence in the new Global Order, by Parag Khanna. It amazes me how much one person can know about so many countries. Khanna shoots around the world to give you insights in the developing countries or ‘Second World.’ Pretty soon, you see how dysfunctional our US foreign policy is. The rest of the world is turning to others for inspiration and trade. The EU has a GDP of greater than the US. South America is sick of our meddling, followed by inattention. Asia is not inviting the US to important meetings. China is searching the world over for resources and UN votes, buying them without Puritanical strings attached or our paternalistic tone. The US needs to get used to being one of several world leaders and must accept that there are different paths to well-being and even capitalism. Democracy isn’t worth much if you’re starving or dodging bombs. This should be required reading. 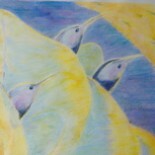 See the book on Amazon. This entry was posted on October 27, 2013 by axisperformanceadvisors in Book Reviews and tagged European Union, Parag Khanna, The Second World: Empires and Influence in the New Global Order.